Johnalee Nelson got the phone call at 1 AM on February 9, 1968; police had fired into a crowd of students on the campus of South Carolina State College. Some 200 students had gathered to protest the segregation of the local bowling alley. Her husband, the Presbyterian minister J. Herbert Nelson, left the house to be with the students, among them members of State's Westminster Fellowship. Three young men -- Samuel Ephesians Hammond Jr., Delano Herman Middleton, and Henry Ezekial Smith -- would die of their wounds. The incident would be remembered as the Orangeburg Massacre, the first instance in American history of police violence against student protesters, predating the killings at Kent State by two years. Johnalee was born in Beaufort, S.C. and grew up in Portsmouth, New Hampshire. She returned to South Carolina as a nursing student at State College, and one Christmas break, staying in Sumter with a friend, she met the young minister James Herbert Nelson. 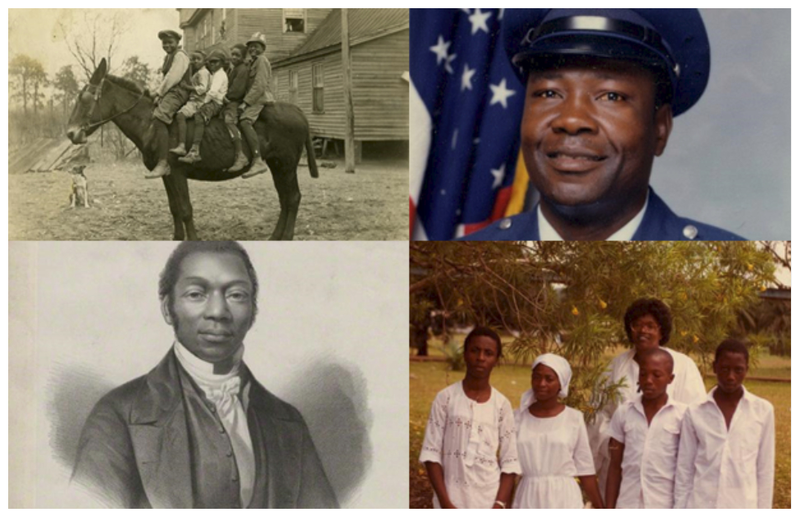 A member of the PCUSA Presbytery of Atlantic -- one of the Northern church's African American governing bodies -- J. Herbert was the son of a Presbyterian pastor and at the time held a dual call, serving Congruity Presbyterian Church (Sumter, S.C.) and tiny Westminster Presbyterian Church in Alcolu. Organized in 1894, Westminster had been served by supplies and so had intermittent worship services until J. Herbert's installation as full-time pastor in 1954. Within a few years, the church had installed indoor toilets, gas heat, and a new roof, and J. Herbert had promoted youth programs and established weekly worship. 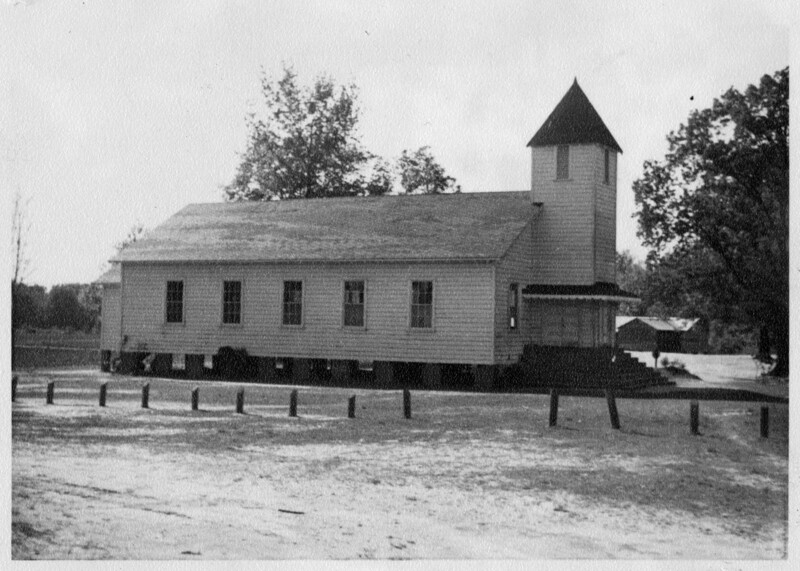 Westminster Presbyterian Church (Alcolu, S.C.), mid-20th century. From RG 425, Series I, Congregational vertical file. He was known for his advocacy of full civil rights for African Americans, and of the necessity of the church's social witness. In a 1955 sermon to his own Omega Psi Phi fraternity, he wrote, "When the whole globe is a big neighborhood, no individual, group, or institution can isolate itself from from crime, disease, and social blight," characterizing the path of justice as nigh inevitable. In a 1960s resume, J. Herbert cast the Presbyterian church's social witness work as necessary for the health of the church itself: "The church is playing catch up with secular organizations; the church will certainly be in a bad state of affairs if she does not take longer strides and run a little faster"
In 1960, J. Herbert took the pastorate at St. Luke Presbyterian Church in Orangeburg, and began work among students at State College. He was active in the Presbytery of Atlantic: in April of 1964, he proposed that presbytery establish its own Commission on Religion and Race, and moved that presbytery identify charitable foundations which might underwrite scholarships for African American college students. He befriended McLeod Frampton, known as "Framp," pastor of the white First Presbyterian Church of Orangeburg; the two men would join like-minded citizens in interracial discussion groups, and would, after the massacre, co-chair the city's human relations committee. Johnalee was active in Presbyterian Women, serving as moderator of the PW Synodical of the South. According to Oscar Butler, then dean of men at State College, the chain of events which would lead to the massacre began at another bowling alley entirely. In April of 1967, the South Carolina youth chapter of the NAACP met in Sumter. During downtime at the convention, a group of students wanted to bowl at a local alley. When they were refused service, they promised to picket the alley, and "close down the city." Sumter's mayor intervened, and the students were allowed to bowl. Some among them went to State College, and they came home to Orangeburg telling of their success in Sumter. Their dean was especially receptive to the idea of integrating the lanes at Orangeburg: Butler was a dedicated bowler, and member of a successful bowling team in Columbia. In the summer of 1967, Butler, J. Herbert Nelson, and a contingent of students began discussions with the bowling alley's owner about desegregating the lanes. On Monday February 5 and Tuesday February 6, State College students walked into All Star Bowling Lanes intending to either be served, or to be arrested and pursue their cause in the courts. By Thursday the campus was in lockdown; students had gathered at the edge of campus and built a bonfire facing Watson Street, and beyond the intersection, 60 South Carolina highway patrolmen and 45 National Guard. At about 10:30 PM, a student threw a piece of a banister from an abandoned house and hit patrolman David Shealy in the head. Later police and FBI investigations would conclude that the highway patrolmen who then advanced on the students had heard gunfire or an explosion; eyewitness accounts differ. National Guardsman Clyde Jeffcoat would later recount that his squad never felt threatened, never loaded their weapons, and did not hear gunfire until nine patrolmen opened up on the crowd of students with double-ought buckshot in 12-gauge shotguns, hitting fleeing students in the back. The following Sunday, the NAACP organized a rally calling for the demobilization of the National Guard from Orangeburg. Later that year, the United States Department of Justice sued to desegregate the bowling alley and Orangeburg Hospital and won. A federal grand jury refused to indict the nine patrolmen for manslaughter; the Department of Justice retried them on civil rights charges for imposing "summary punishment." All would be cleared in May 1969. In 1970, Student Non-Violent Coordinating Committee organizer Cleveland Sellers would become the only person present at the massacre to be convicted of a crime, and would serve seven months in prison for incitement to riot. He would be pardoned in 1995. 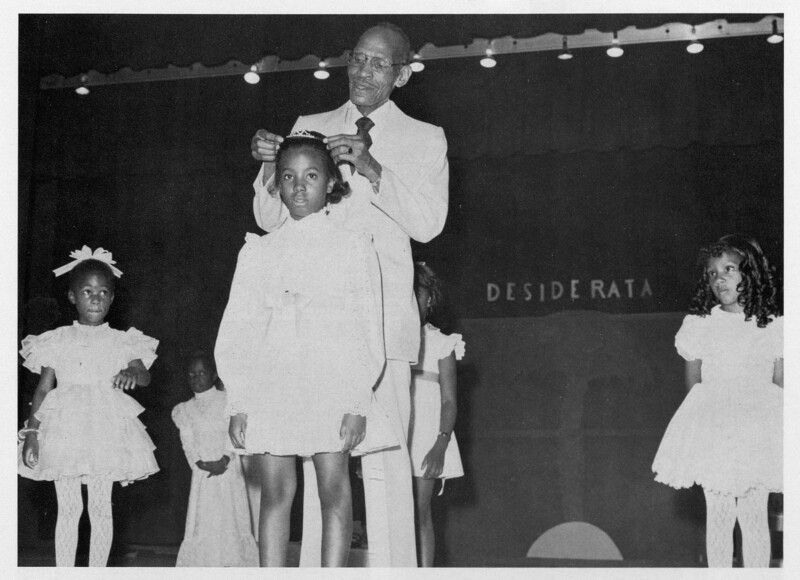 James Herbert Nelson crowning Miss Karen Elizabeth York at the First Little Miss Orangeburg Area Pageant, before 1981. J. Herbert Nelson would serve St. Luke until his passing in November 1981. Johnalee Nelson would recount her memory of the massacre for historian Jack Shuler in Blood and Bone just a year before her death in 2014. Their son, J. Herbert Nelson II, would harken back to Orangeburg when speaking of the 2015 Charleston massacre, saying each event manifested "the belief that white supremacy is still the order of the day." In the first full week after Rev. Nelson became Stated Clerk, the PC(USA)’s Office of the General Assembly issued statements of sorrow and support following the shooting deaths of Alton Sterling in Baton Rouge, Louisiana; Philando Castile in Minnesota; and five police officers in Dallas, Texas--Lorne Ahrens, Michael Krol, Michael Smith, Brent Thompson, and Patrick Zamarripa. After the massacre, the people of Orangeburg haltingly began the daily work of reconciliation, a task Presbyterians are called to continue, nationally, nearly fifty years later.